I vaguely remember seeing this 1971 flick when I was a kid. Back then, I thought all movies were shot through with “snow” due to our poor reception and the quality of the video. This movie belongs on the shelf next to all your other Claymation classics, like FROSTY THE SNOWMAN, RUDOLPH THE RED-NOSED REINDEER, and SANTA CLAUS IS COMING TO TOWN. In my humble and honest opinion, this film is far superior to HOP. That is, you will not mind sitting through this with your young ones. It’s narrated by Danny Kaye, who plays the all-knowing character like Fred Astaire did in SANTA CLAUS. 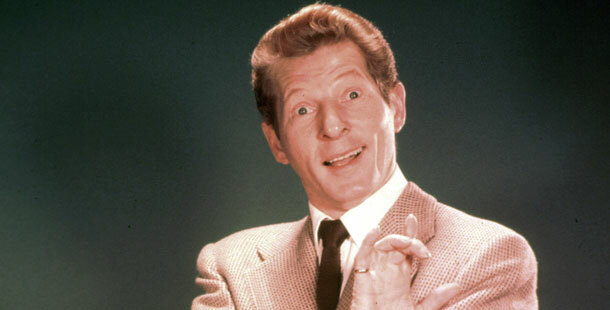 Do you remember Danny Kaye? I do, but maybe that’s because I only watched old films growing up. (He was in the classic WHITE CHRISTMAS and a whole bunch of other films, and was known for being a true triple threat of singing/dancing/acting skillz). The Easter bunny (Kasey Kasem) messes up and has to go on a time-traveling trip through ALL the holidays, delivering eggs in hopes of correcting his wrong. The villain is deliciously voiced by none other than Vincent Price, playing Irontail. You have to love a kids’ movie with Vincent Price as the villain! Anyway, my kids absolutely adore it and have watched it at least three times since we got it a few days ago. This will definitely go into our holiday rotation. I love Claymation, and this one is especially visually pleasing. The colors and patterns pop, and manage to look fresh (probably because of all the retro we have now) though the movie was made before I was born. To celebrate Easter, I have ONE COPY of this classic DVD to give away. To enter, leave your name in the comments section. I’ll choose a winner (rather, Random.org will choose a winner) on Friday, March 30, at noon Pacific, and mail it out ASAP after I notify you and get your address. If you don’t see your comment right away, don’t panic. I have to approve each comment. Here are some coloring pages to print out! 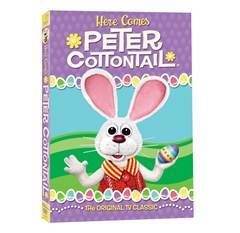 Blogger Disclosure: American Housewife received a free copy of Peter Cottontail to review. Okay, count me in. My kids deserve to be made to watch this, so they can grow up to be as maladjusted as I am. I love that you found a fairly obscure classic. Brings back lots of Easter memories when I was a child! Yes, I want in. My grandbabies would love it. Especially Austin the 6 year old. The triplets will swear they don’t like it but they will in spite of being grown up at 10 years. Thanks. Barbara Whittington, grandmom of eight. I adore this classic. And had to share your giveaway with my readers from Crazed Mind. Hope you do not mind but I am going to tell some friends on FB about it too! Thanks so for sharing! Fun! I’m keping my fingers crossed! Count me in! The circus would enjoy having this one along with their Christmas classics. I love the classic holiday specials. I’ll keep my fingers crossed! And the winner is…Ben! Congratulations!